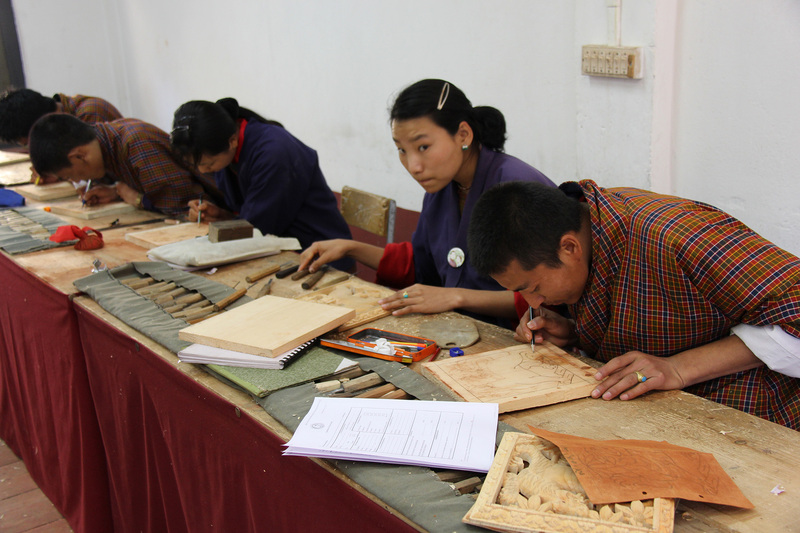 Also known as the painting school, the institute has students learning the 13 traditional arts and crafts of Bhutan. The institute offers an eight-year course in the techniques of traditional art in 13 traditional arts such as painting, woodcarving, clay sculpture, mask making and so on. The institute also teaches traditional thangkha painting and a few foreigners come to Bhutan to learn the art. The institute has a showroom where works of students are sold at reasonable price.